St. Joseph School encourages parents, families and friends to celebrate the Tuesday morning Mass with us. Mass begins at 8:15am and ends at approximately 9:15am. See schedule below of Masses and liturgical services. 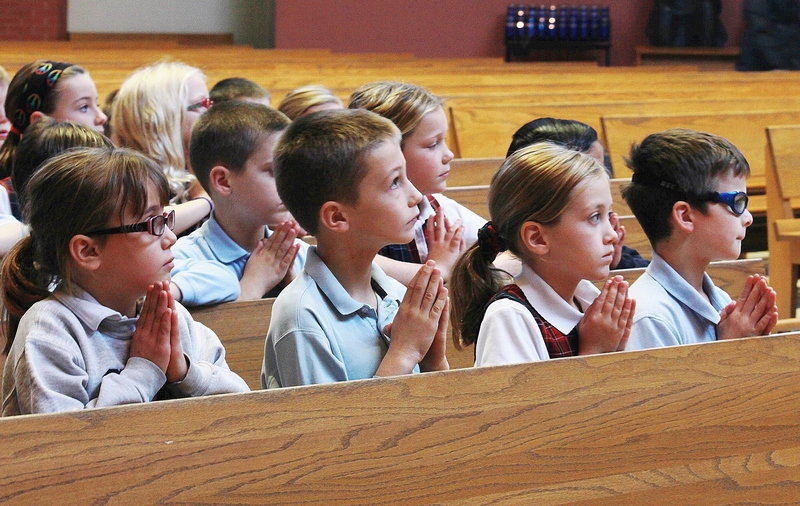 All students in grades 1 through 8 attend the all-school Mass each week. Kindergarten students attend Mass one time per month. Our PK-4 students are welcome to attend Mass with their families. Our PK-3 students remain in class. Students are called upon to participate in the various ministries during the Mass. Our 8th graders fill the ministries as lectors for the Introduction before Mass and the First Reading. They also serve as ushers and sacristans. The 8th graders are scheduled to these ministries before the start of the school year. During the course of the year, grades 4 thru 8 fill the ministries of lector, reading the Psalm and the Prayers of the Faithful. They also bring up the gifts of bread and wine and process into church with the school Mass banner. 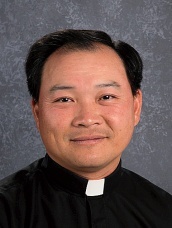 Those assisting in these ministries are assigned by the teacher the week before their scheduled Mass. (See schedule for when your child’s classroom is serving). Typically 8 students are needed to fill these positions each week. Students who are scheduled to read, practice in church the day before the Mass and are given a copy of their reading so that they may practice again at home. We try to instill reverence and a prayerful attitude when at Mass. Please remember that your child is not “performing” but is leading us in prayer. We strongly discourage picture taking (except by those assigned to do so) during the Mass and at prayer services. We remember at Mass those in our school family who have lost loved ones. We pray for those who have died and for the families that mourn their loss. Please notify the school office of any deaths in the family so that we can remember your loved one at an all-school Tuesday Mass. Please provide name of loved one, relationship to student(s) and name pronunciation and phonetic spelling.